1.1. The promoter is Colliers International (WA) Real Estate Management, A.B.N No 26 791 928 513 as legal representatives of participating shopping centres and entertainment hubs. 2.1. Competition will commence 5:00pm (AWST) Monday 26 September 2016 and concludes at 9:00am (AWST) Sunday October 2016. 2.2. Two (2) winners will be drawn and each winner notified by email &/or mobile phone call. 2.3. The first name drawn will win the First Prize (overnight stay at Renedezvous Hotel Perth Scarborough), the second name drawn will with the Second Prize ($100 voucher for The Squire’s Fortune). 2.4. Two (2) winners will be drawn at random on Monday 17 October 2016. 3.1. Individuals will need to visit www.scarboroughesplanade.com.au and complete the online entry form, via the “Sign-Up” tab on the website. 3.2. Entry of promotion is open to any individual who is a permanent resident of Western Australia; over the age of +18 year of age at the time of the prize draw. 3.3. Individuals may not enter the competition more than once (1 entry, per person). 3.4. 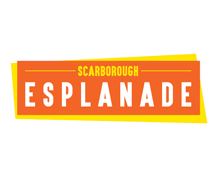 Entry is available via http://www.scarboroughesplanade.com.au between Friday 23 September 2016 and removed at 9.00am (AWST) Sunday 16 October 2016. 4.1. One (1) winner will receive the First Prize comprising one (1) prize pack of an overnight stay to the value of $400 at Rendezvous Hotel Perth Scarborough, at the conclusion of the promotion. The First Prize is subject to availability and blackout dates do apply. The prize can not to be used in conjunction with any other offer and comprises an overnight stay in a lead in room only. Mini bar, in room expenses and other hotel facilities are not included within the prize pack. 4.2. One (1) winner will receive the Second Prize comprising one (1) prize pack of a $100 voucher to The Squire’s Fortune at the conclusion of the promotion. The prize is subject to booking availability and is not transferrable for cash. The voucher must be used in one transaction and do have an expiry date, as noted on the voucher. 4.3. The prize is to be accepted in good faith and will comply with regular rules of use. 4.4. The competition is not open to retailers, tenants, staff or any affiliates with property management, or the property owners. 4.5. Each prize will be sent by registered post, via Australia Post, or email where an e-voucher is available. 5.1. It is a condition of entry that entrants must comply with all the conditions of use of the prize. 5.2. Additional expenses incurred as a result of accepting this prize are the redeemer’s responsibility and Colliers International (WA) , shopping centre property owners or its affiliates accepts no liability or responsibility in respect of the same or for any loss or injury suffered as a result of accepting the prize. 5.3. The promoter will take no responsibility for lost or damaged entries or damaged prizes. 4.6. Colliers International (WA) reserves the right to exclude any person from this promotion for any reason whatsoever, at any time before, during or after the competition period. 6.1. In all matters, all decisions of Colliers International (WA) will be final and cannot be contested. No correspondence or discussions will be entered in to. 6.2. If for any reason this promotion is not capable of running as planned, due to causes including but not limited to tampering, unauthorized intervention, fraud, technical failures or any other causes beyond the control of the Colliers International (WA) which corrupt or affect the administration security, fairness, integrity or proper conduct of this promotion; Colliers International (WA) reserves the right in its sole discretion to disqualify any individual who tampers with the entry process, take any action that may be available, and has the right to cancel, terminate, modify or suspend the promotion entirely. 7.1. Entry details including name, address, email address and contact number is required upon entering the competition. 7.2. We may collect your personal information for the purposes of providing products or services or information about those products or services, to you. Such products and services may include, but are not limited to, the provision of loyalty Cards, the conduct of promotions or competitions, the operation of mailing lists for promotional purposes, an application for tenancy at one of our centres and for the provision of other services requested by you.